Now with a new backlit sensor the X-t3 gets an increase in resolution to 26.1 megapixels. This latest model lacks the IBIS (in body image stabilisation) of the X-H1, possibly hindering sales. Fujifilm's new backlit sensor and image processing engine bring a considerable improvement to maximum frames per second which will be a boon to sport and action photographers. Many features are improved including a new touch screen and higher resolution EVF. 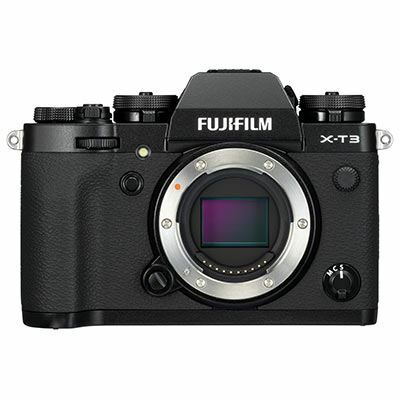 This camera builds on the success of the X-T2 and will be a popular model at a competitive price point.